For over twenty years, Craig Blomberg's The Historical Reliability of the Gospels has provided a useful antidote to many of the toxic effects of skeptical criticism of the Gospels. Offering a calm, balanced overview of the history of Gospel criticism, especially that of the late twentieth century, Blomberg introduces readers to the methods employed by New Testament scholars and shows both the values and limits of those methods. He then delves more deeply into the question of miracles, Synoptic discrepancies and the differences between the Synoptics and John. After an assessment of noncanonical Jesus tradition, he addresses issues of historical method directly. This new edition has been thoroughly updated in light of new developments with numerous additions to the footnotes and two added appendixes. 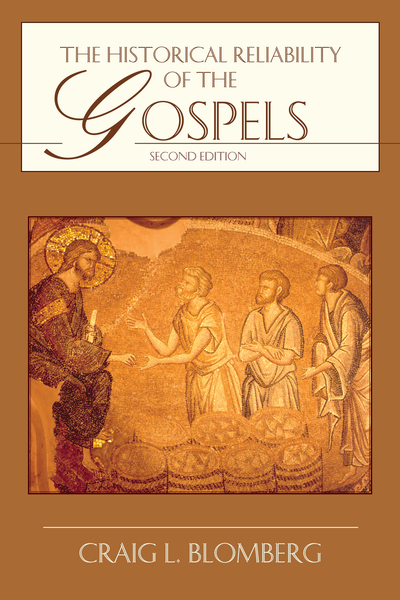 Readers will find that over the past twenty years, the case for the historical trustworthiness of the Gospels has grown vastly stronger.